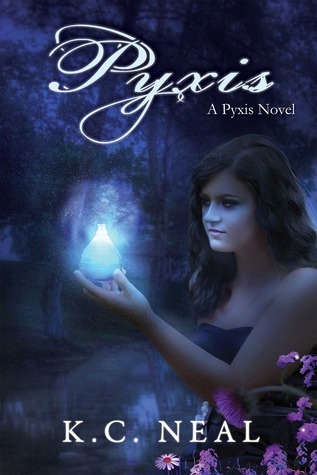 From Goodreads: "Two worlds... one 16-year-old girl must learn to protect them both. The nightmares haunting Corinne and her friend Mason hint at a universe that exists beyond the one they know. Her destiny is to protect a weakness between the two worlds, but her mentor is dead. As Corinne and Mason search for answers, she tries to ignore the sparks igniting between them, but can't deny she feels safe only when he's nearby. Will they find help before their nightmares break free?" Firstly I would like to thank the lovely K.C. Neal for supplying me with a kindle copy of her new book! That does not in any way affect my review of this book, all my opinions are honest and not influenced. I love the cover for this book, it is absolutely gorgeous! I love everything about it, the colours and the script. The cover really compliments and fits in with the story line as well. This story follows the life of Corinne, a 16 year old girl who has recently lost her much loved grandmother. I was hooked on this story from the very beginning. Starting with the bake sale that had boys practically fighting over her cupcakes and then acting strangely interested in her afterwards. She discovers that this has something to do with the dye she used for the icing of her cupcakes, from a box with 'Pyxis' written across the front. Her and her friend Ang, decide to conduct an experiment to see what else happens with the use of the colours used for the dye. Corinne was left heartbroken after her best friend expresses feelings for her and kisses her, only to later see a picture of him kissing her enemy Sophie. Corinne is left confused and upset with no resolution because her best friend Mason goes away. He emails her constantly but she refuses to reply. That is until Mason describes a dream he had, which is similar to the one Corinne had, with all the other weird stuff going on, she doesn't think it can be a coincidence. She emails him about the Pyxis box and a list of names she found within it, but he doesn't know anymore than she does. Mason is set to arrive home in a couple of days, but Corinne is torn about how to act and whether she wants to see him. She decides that for the time being she will pretend that nothing happened between herself and Mason or Mason and Sophie, which confuses Mason. Of course things are not what they seem, but really, are they ever? When their shared dreams start to seep into the waking world, they know something bad is happening. It turns out that Corinne, Mason and Ang all play a part in this Pyxis thing. The Pyxis thing that they know nothing about, great! Her grandmother was supposed to teach her what to do, and how to do it, but she is dead. So how will the three of them figure out what is going? I'm not going to give any more away, so you will just have to read it for yourself! This was a really great read, I enjoyed it from start to finish. K.C. Neal has taken her idea and created a beautifully written story! I can't wait for the second instalment in the Pyxis series, I really NEED to know what happens to Corinne and Mason, and how Ang fits in! Oh I'm planning on getting to this one real soon. Glad to see a good review on it. Sounds great!